Leek Town Devil's Girl's are moving up to under 13s next season ,so your daughter will need to be in Yr 7-8 in September. 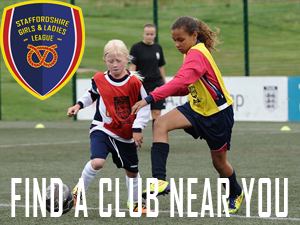 We are looking for few more player's as all round on the pitch. We are a charter standard club with great pathway's to move all the way to the top. We train in Burslem Stoke on Trent on a Tuesday night's 6-7pm at the side of Burnwood Community School Chell Heath ST6-7LP. We have a great bunch off girl's that all have so much fun in football & out .